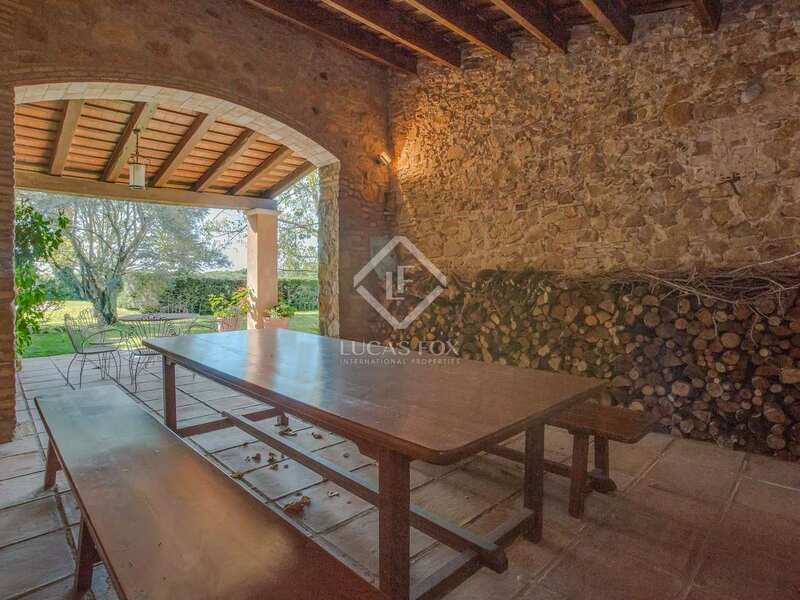 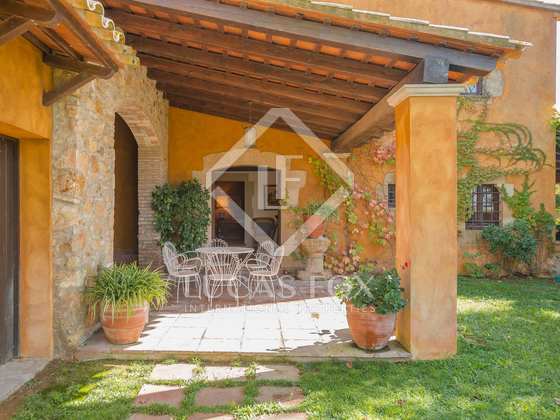 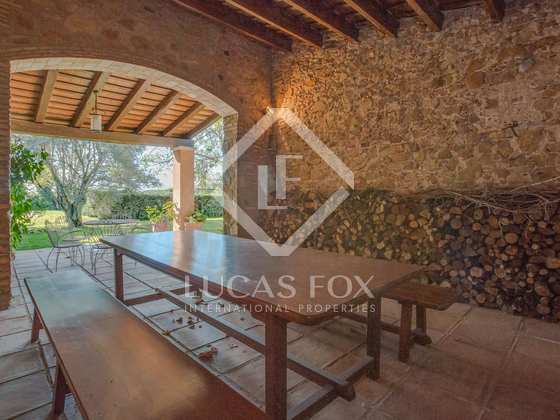 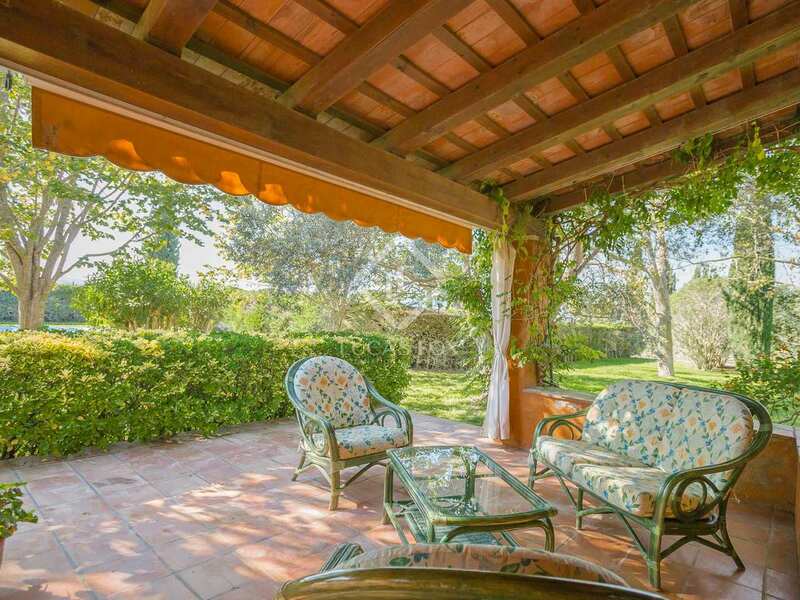 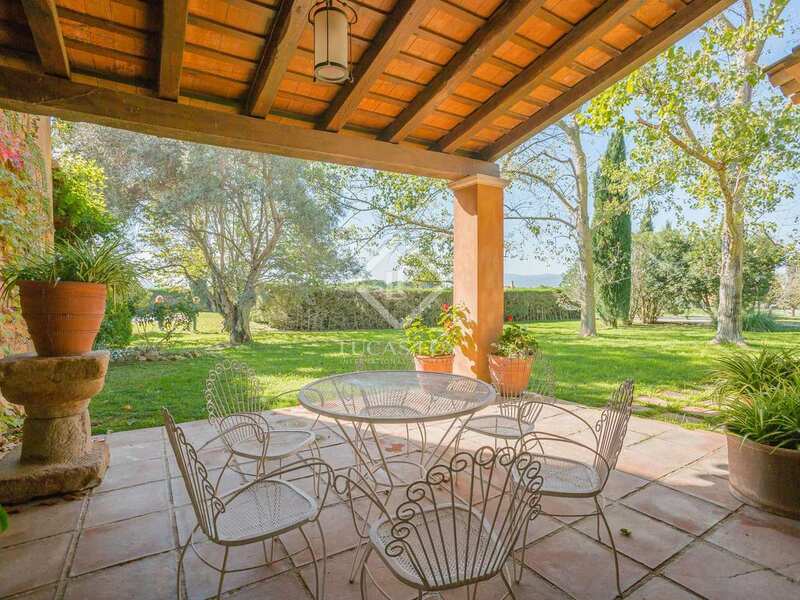 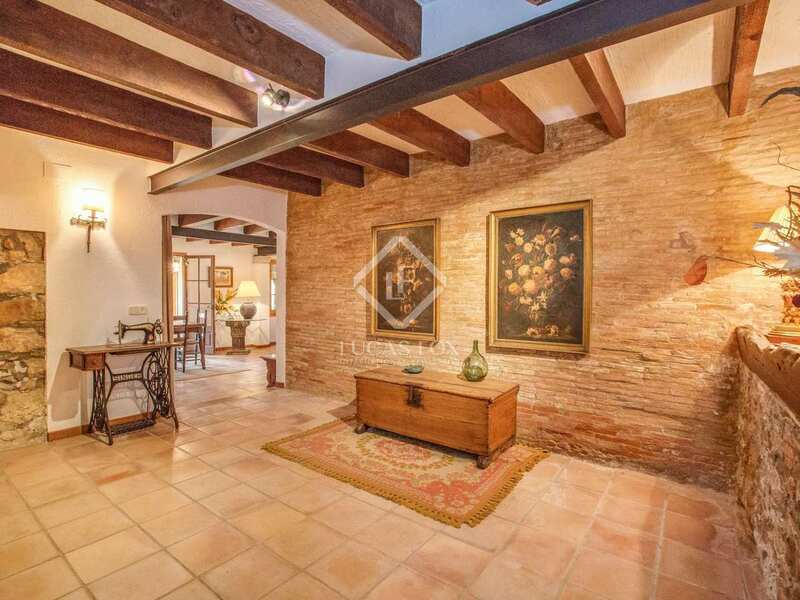 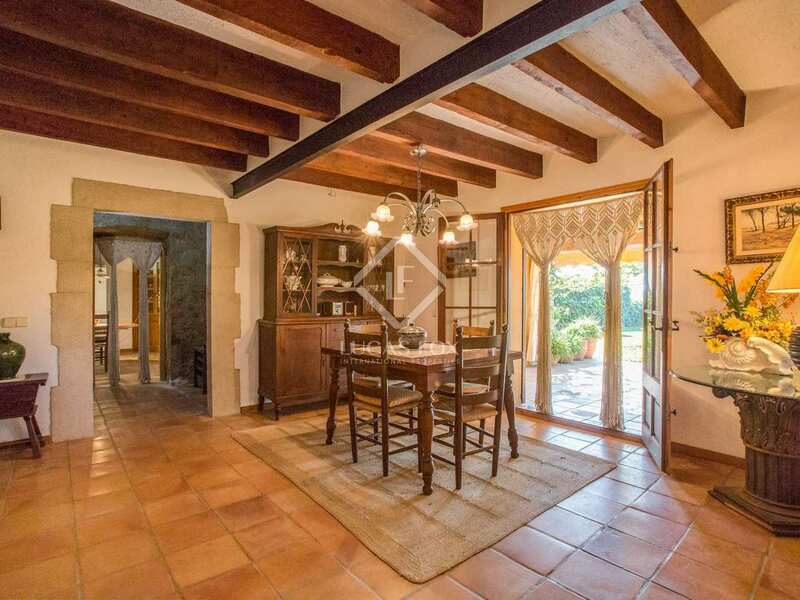 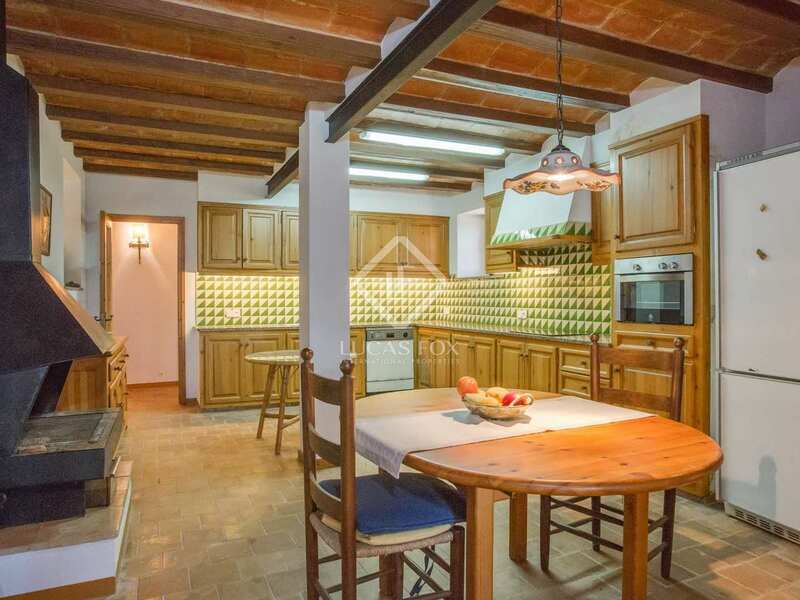 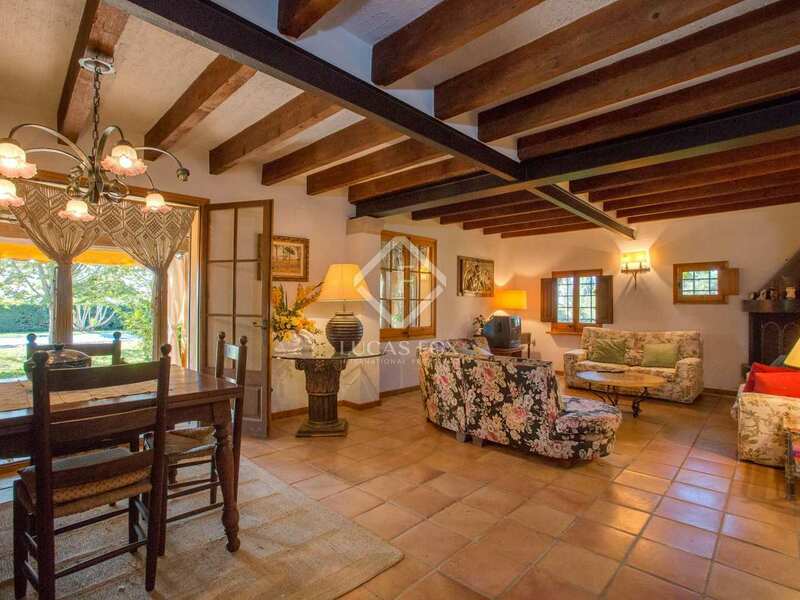 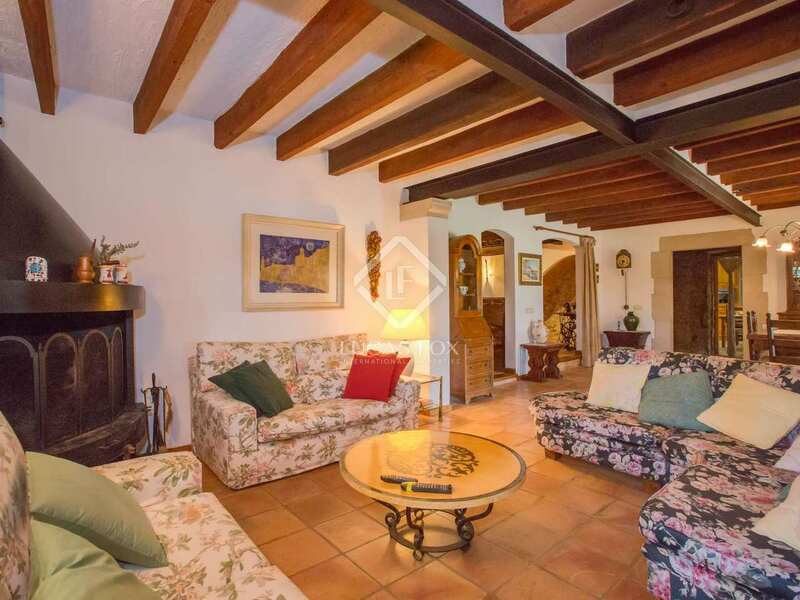 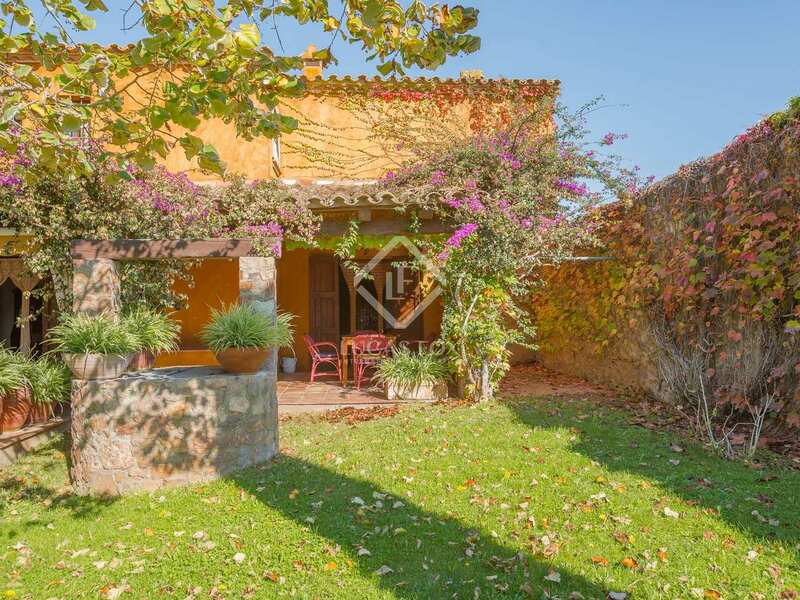 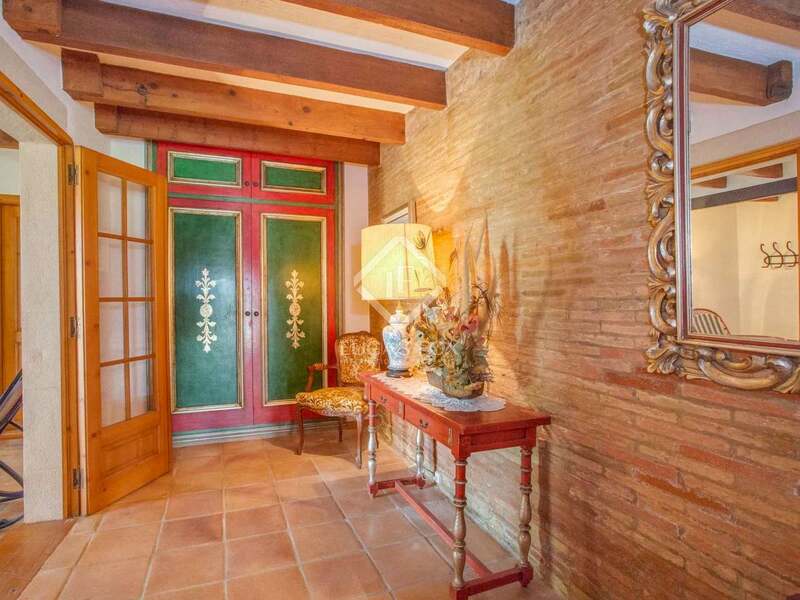 Heartwarming traditional country house with picturesque natural surroundings and a generous 480 m² built area on an 11,500 m² plot in the protected Paratge de Portalada area, between Tamariu and Palafrugell. 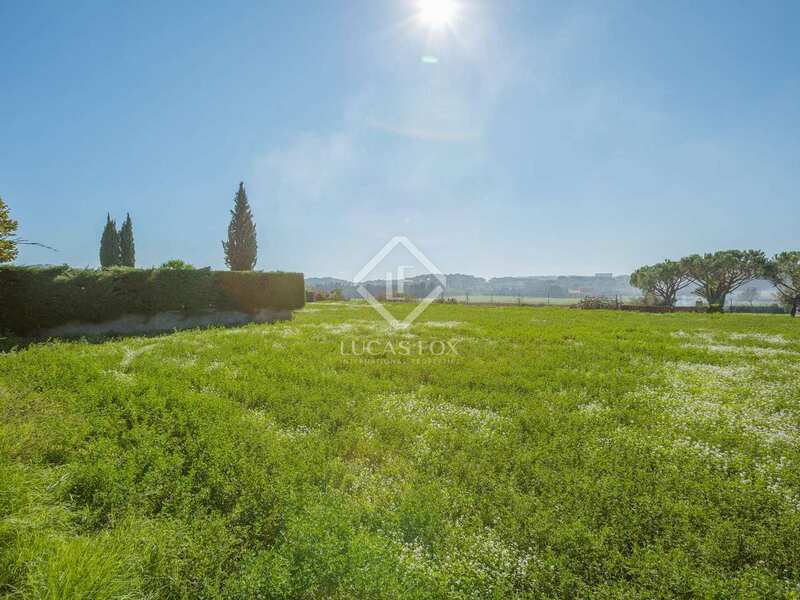 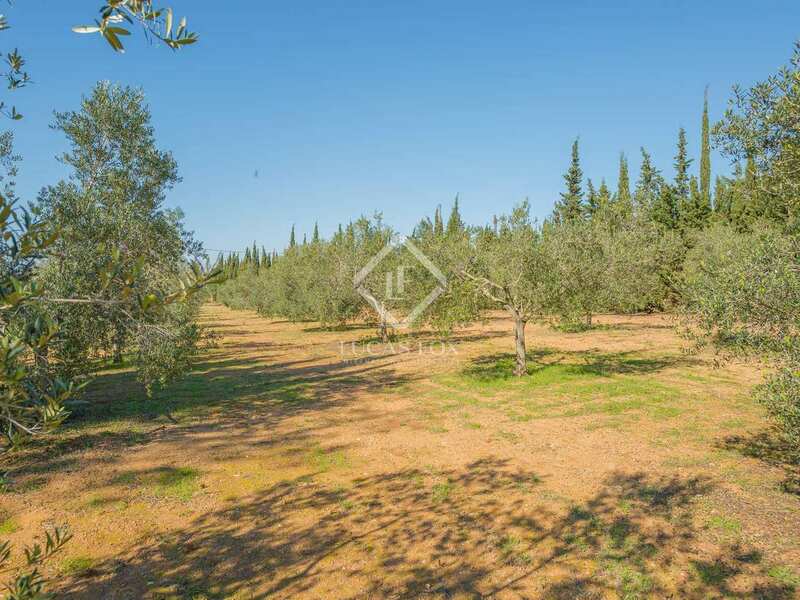 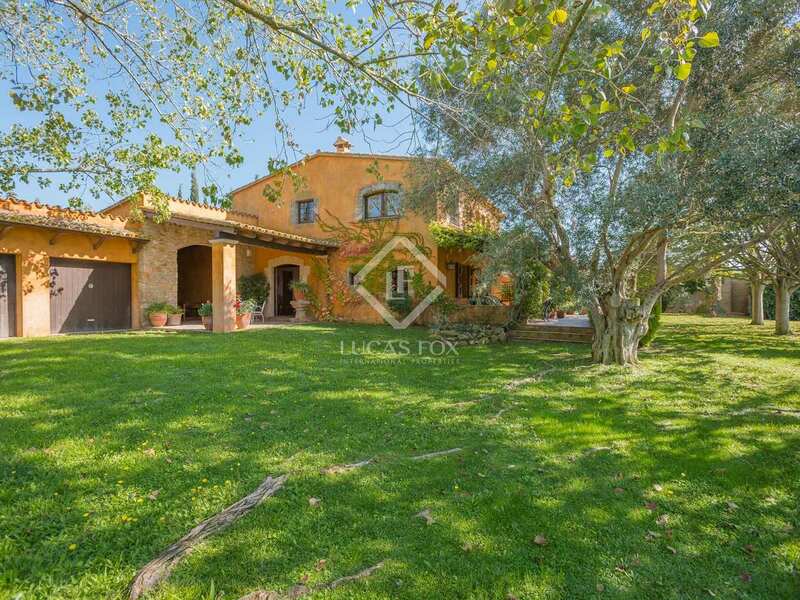 The entire plot is surrounded by walls and fences and is neatly enclosed on one side by an olive grove of over 100 trees. 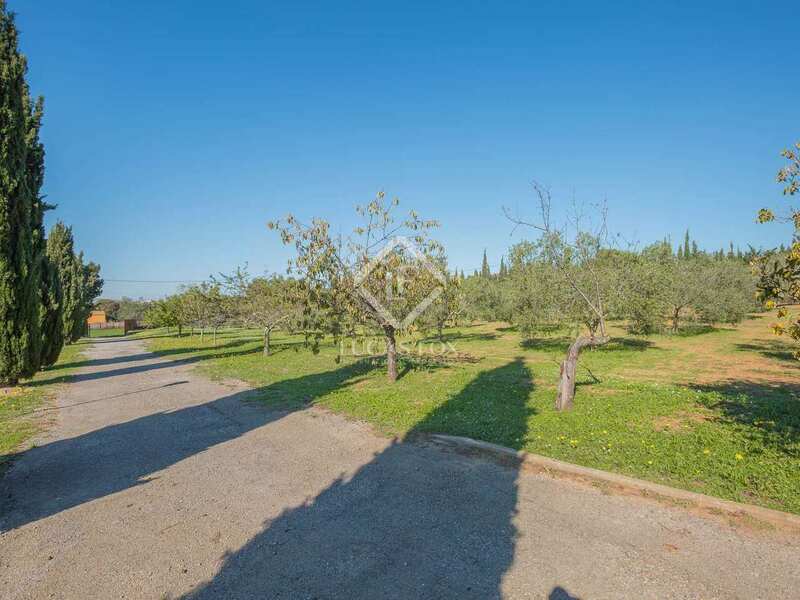 The other part of the plot can be cultivated if the new owners wish. 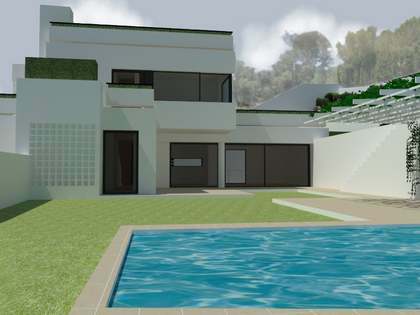 There is a garden area surrounding the house which will have an automatic watering system installed and there is a private swimming pool to the south. 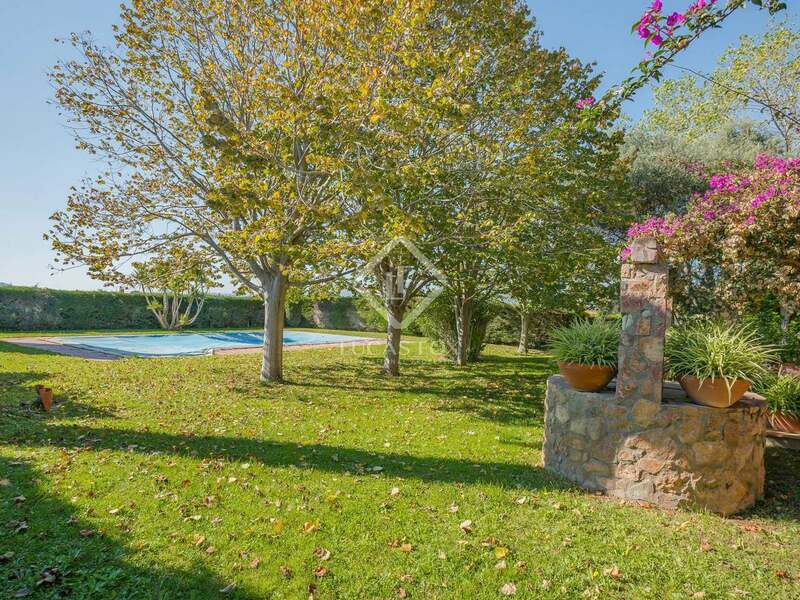 The house is south-west facing and enjoys sunny country views. 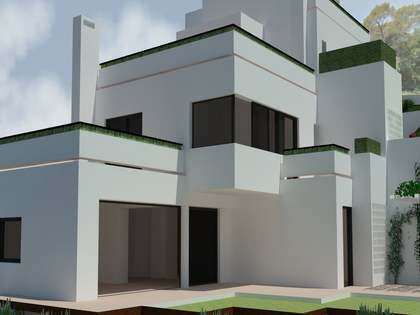 On the ground floor we find a spacious entrance hall and a living room – dining room with a fireplace, as well as a generous kitchen with a fireplace, cellar, utility room and bathroom. 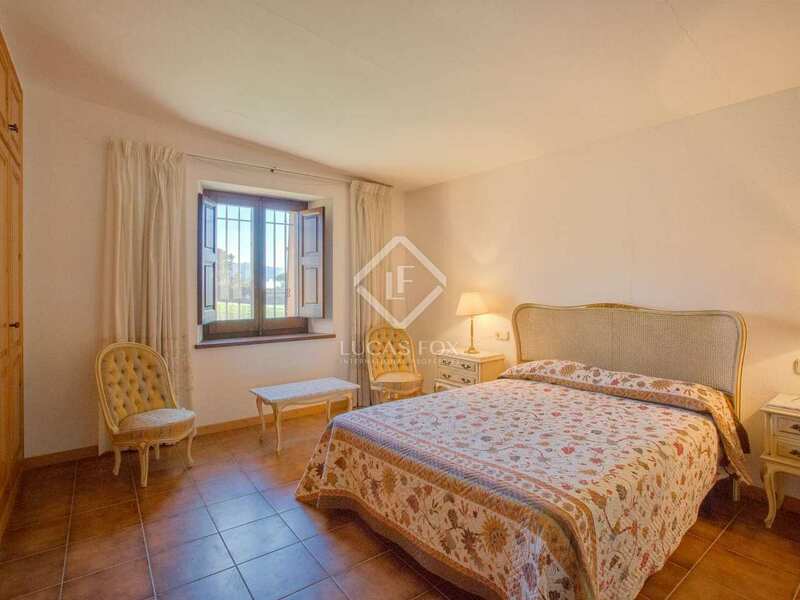 The 5 double bedrooms are all on the first floor along with a lounge and 2 further bathrooms. 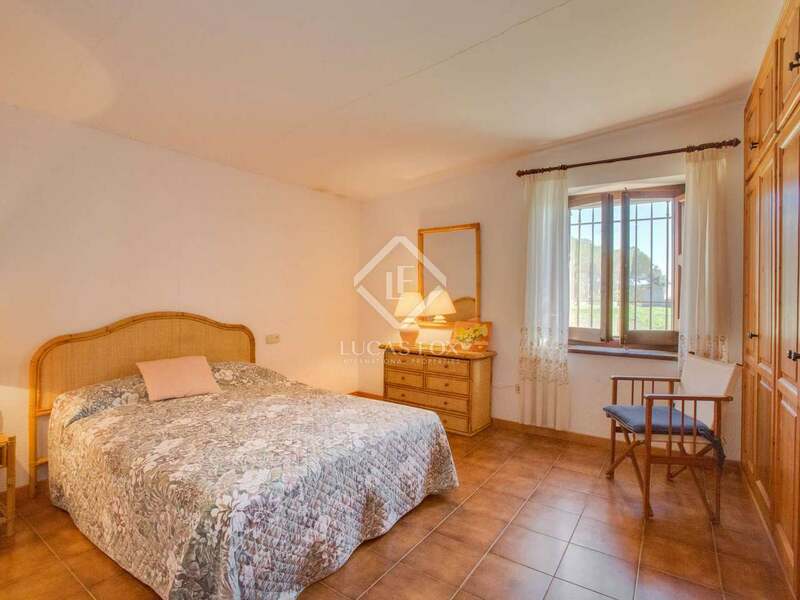 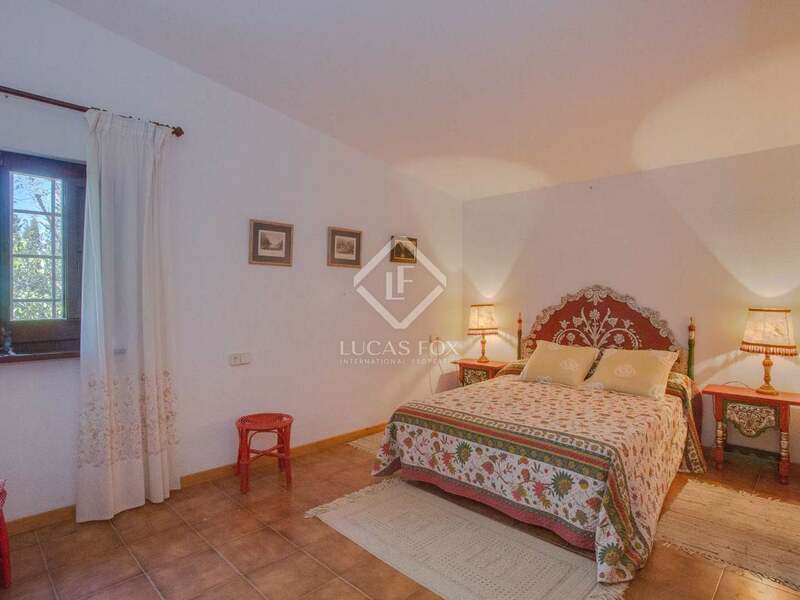 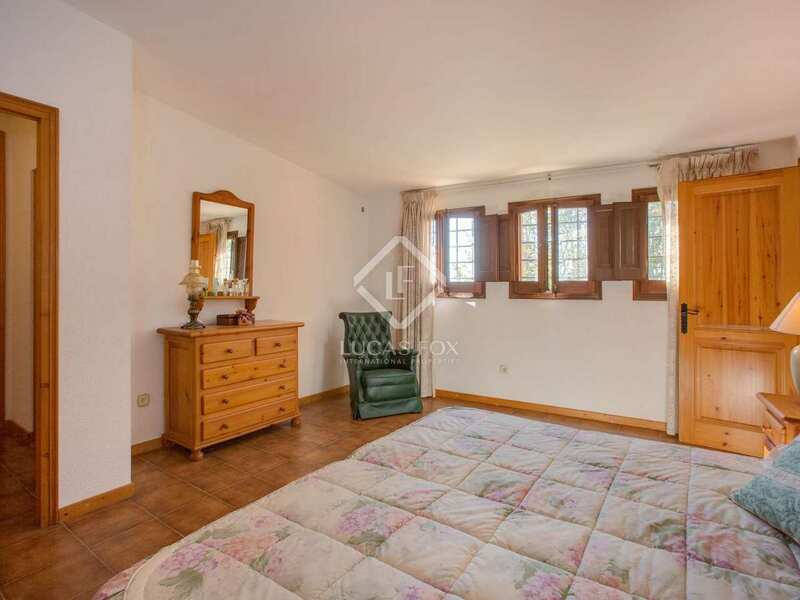 All of the rooms are spacious, especially the master bedroom with its second living area. 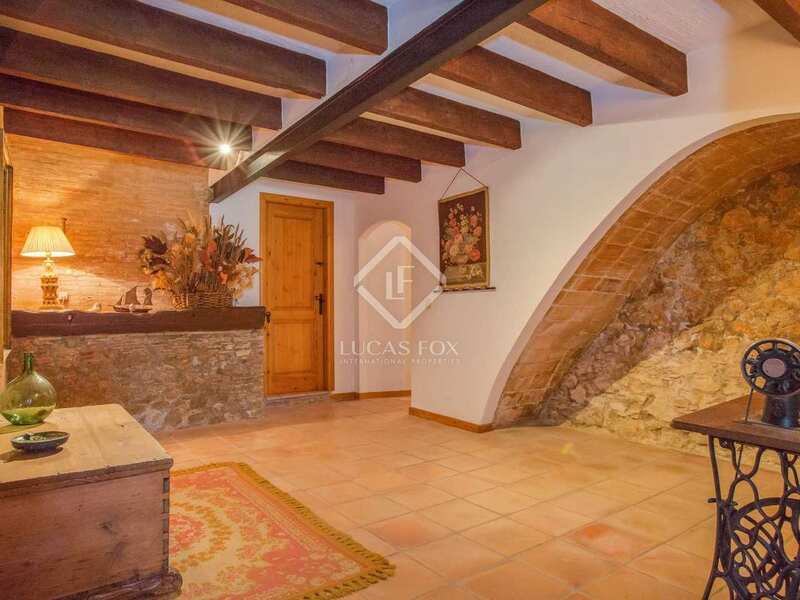 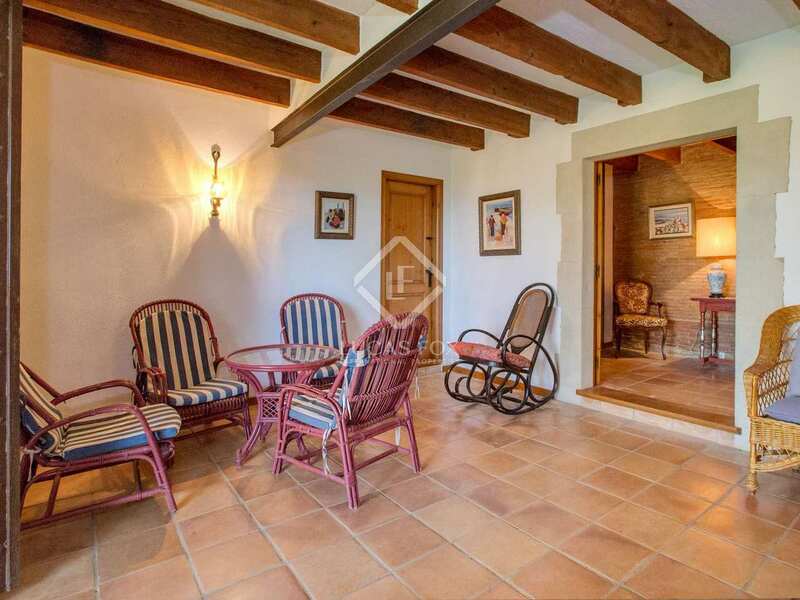 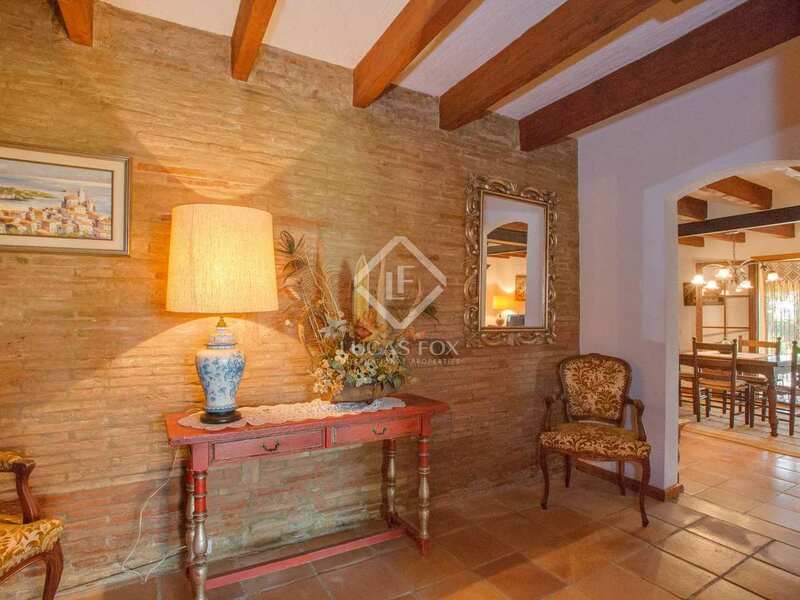 Wooden ceiling beams and clay floor tiles give the property its rustic charm and large windows bring the pretty green views into every room. 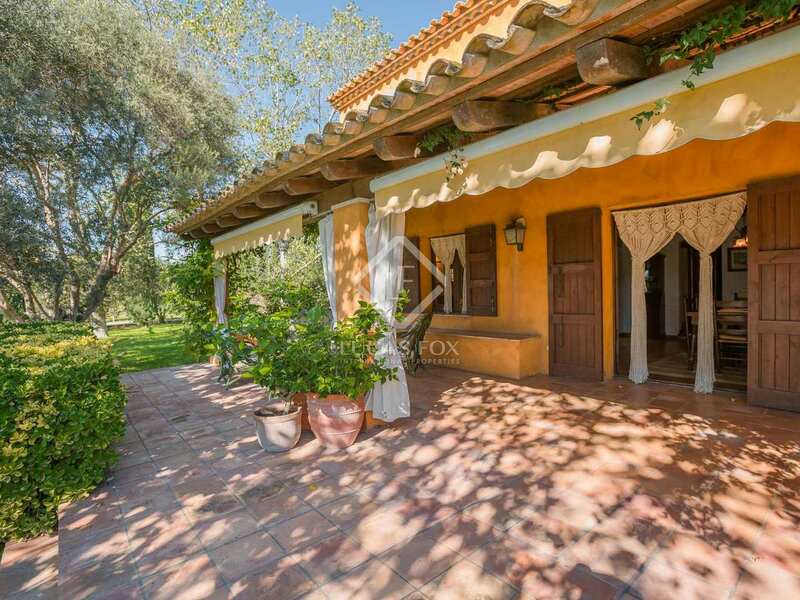 The house requires cosmetic updating and the former stables, accessed from the entrance hall, can be renovated to provide further bedrooms or guest accommodation for example. 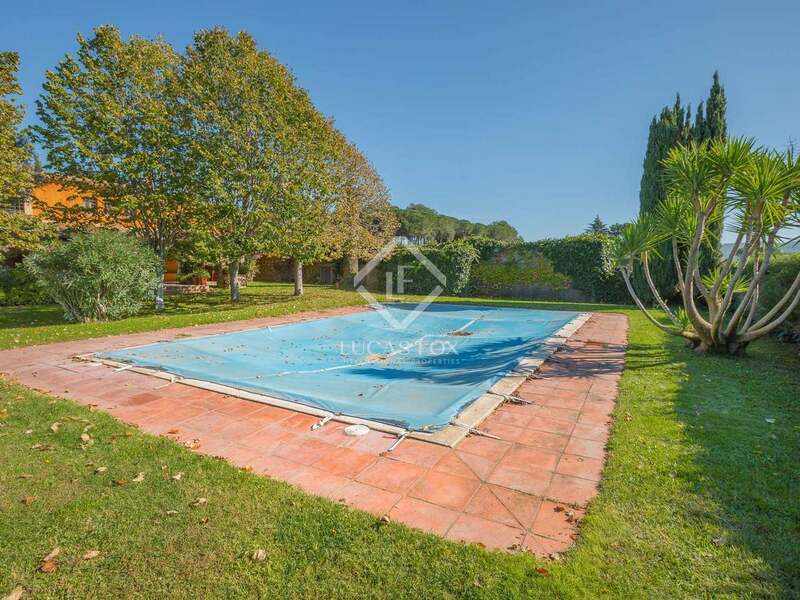 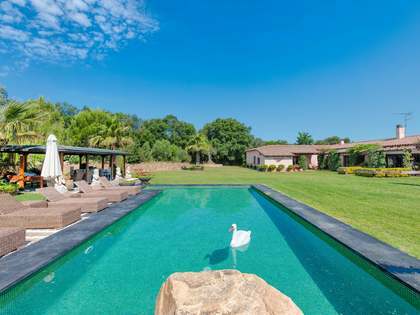 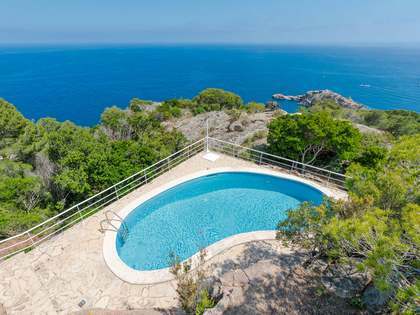 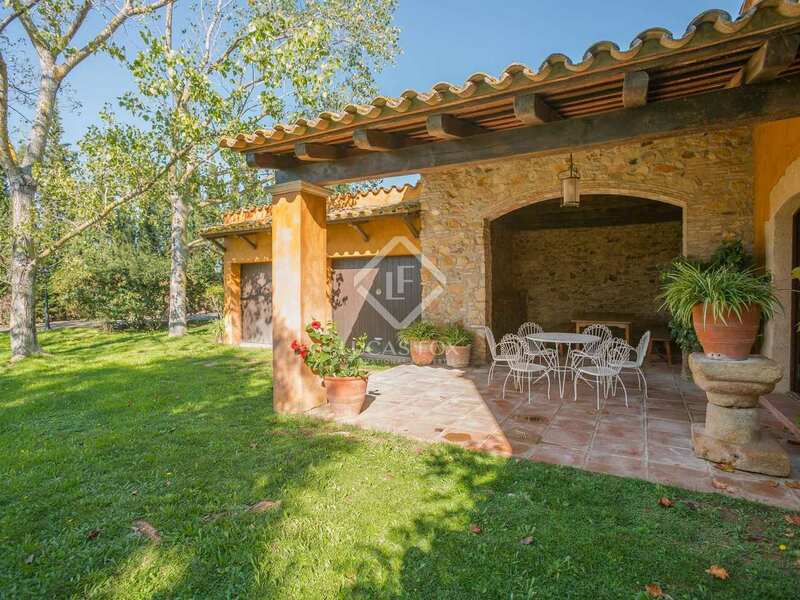 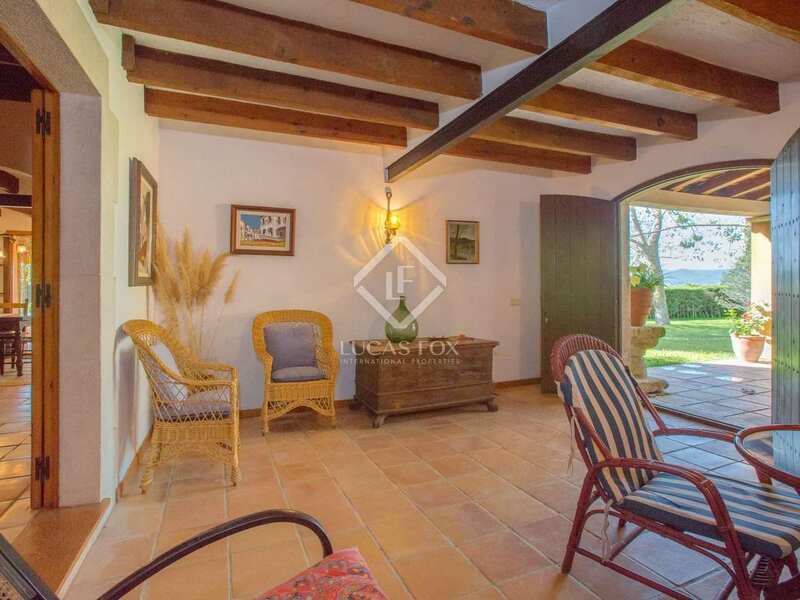 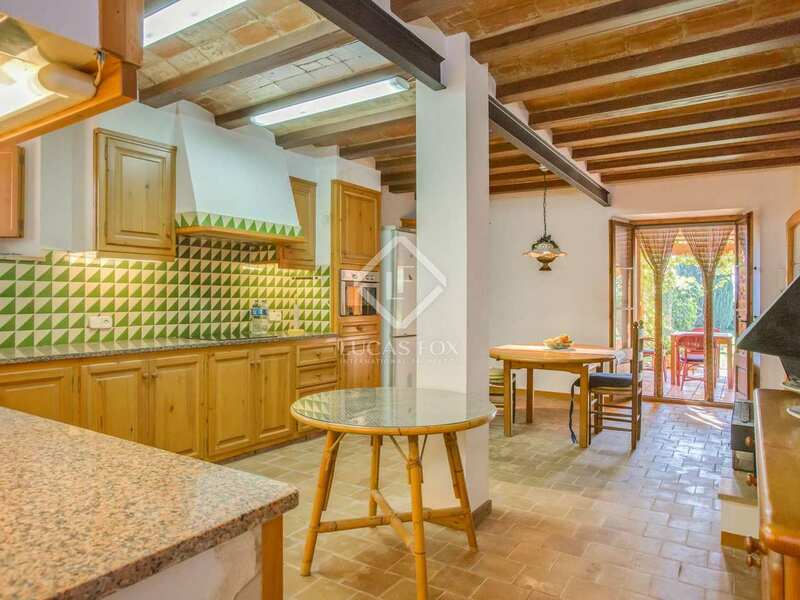 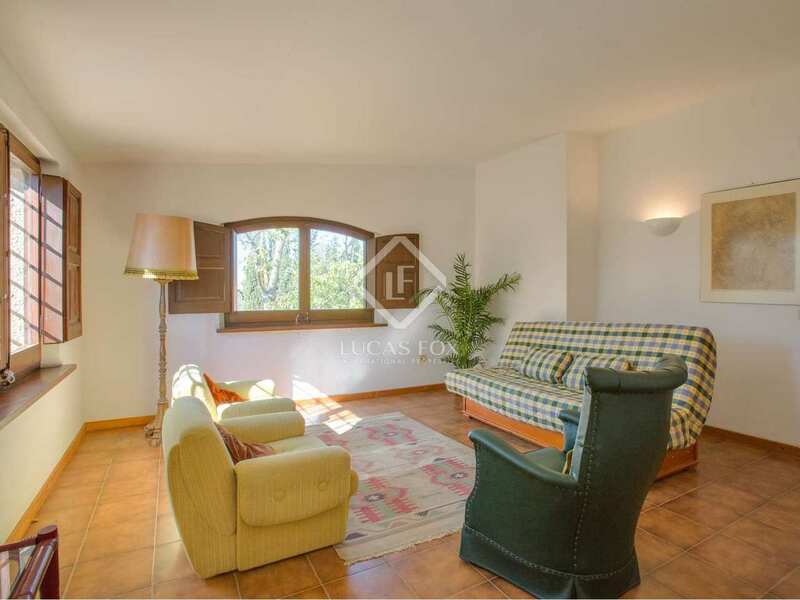 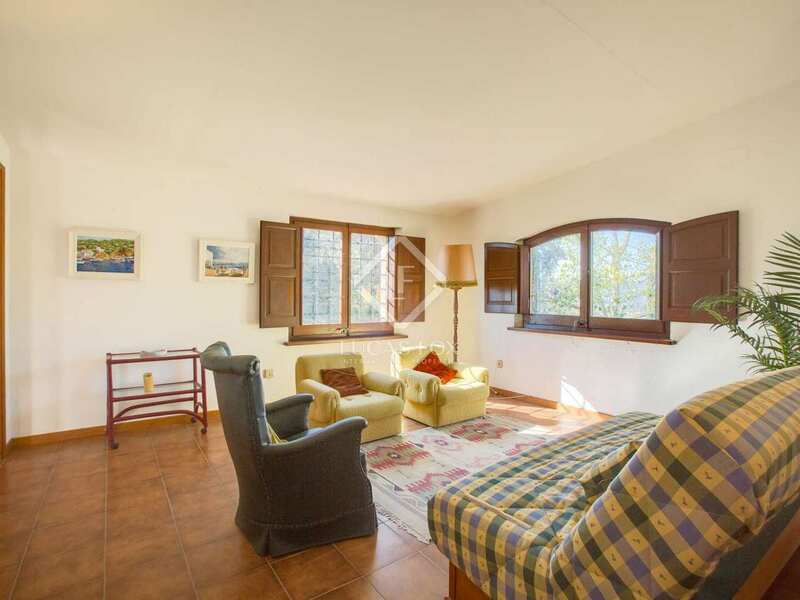 An ideal home for a family with children looking to enjoy country living but with easy access to local amenities, schools and some of the best beaches on the Costa Brava. 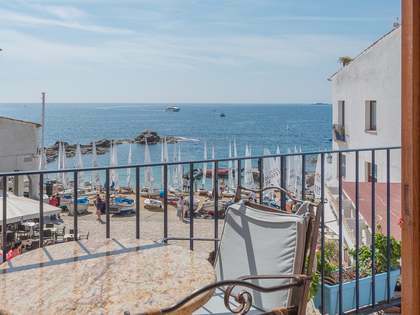 1 indoor parking place at Tamariu beach (3 km from the property) comes included in the price; perfect for spending the day at the beach as parking is difficult to find in the area during the high season.